The Australian Parliament's Joint Standing Committee on Foreign Affairs, Defence and Trade began an Inquiry into Australia's relationship with Timor-Leste in February 2013. By the end of July, the Committee had received 85 written submissions and held four public hearings (transcripts below). However, Australia's Parliamentary election in September changed the ruling party, causing the inquiry to lapse, although the new Parliament could revive it. For more current information, see the Australian Parliamentary website on this Inquiry. La'o Hamutuk was the only Timorese civil society organization which made a submission on time, although one was also made by the Timor-Leste Embassy in Canberra. The HAK Association submitted their thoughts in mid-June. The committee held two public hearings in Canberra in late May (transcripts below), which were criticized by Senator John Madigan for "almost exclusively" inviting "a narrow group of insiders and bureaucrats." Professor Clinton Fernandes wrote in The Conversation that the Australian inquiry into East Timor relations ignores local experience and urged the Committee to hear from more people who live in or have lived in Timor-Leste. The committee held two brief hearings on the last Monday evenings of the Parliamentary session. Care Australia testified on 17 June and Canberra Friends of Dili appeared on 24 June. 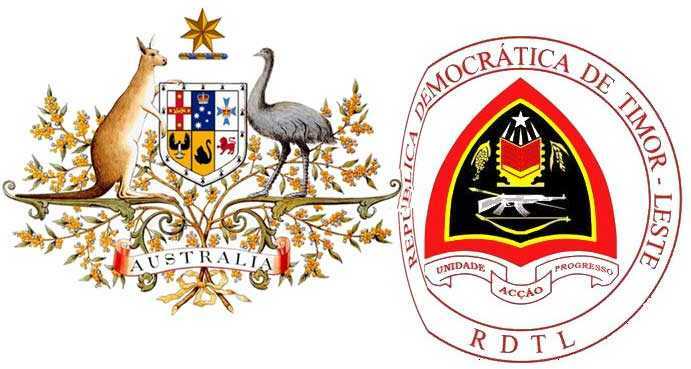 We are listing all the submissions published by the Committee and linking to them, and we hope that others in Timor-Leste and around the world will make use of this opportunity to communicate their views to Australia's Parliament and to the public. The size is given for files larger than one megabyte. 82 Crawford School of Public Policy, ANU (Supplementary) perceptions of policing, etc.